A National Audit Office report has found that 256,000 new school places still need to be provided by 2014/15 to meet increased need. Although the Department for Education has increased the funding it provides to local authorities and there has been a net increase of almost 81,500 primary school places in the last two years, there are indications of real strain on school places. The rise in the number of children born in England between 2001 and 2011 was the largest ten-year increase since the 1950s, and led to increased demand for primary school places. Forecasts of the places needed are inevitably uncertain, but the demand is expected to increase beyond 2014/15. The Department considers that all local authorities are currently meeting their statutory duty to provide sufficient school places. Nonetheless the NAO found indications of pressures on the school system. 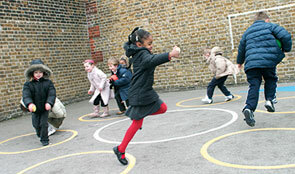 Just over 20 per cent of schools were full or over capacity in May 2012. The number of infant classes with more than 31 children has doubled since 2007. 240,000 of the new places required by 2014/15 are primary school places, of which 37 per cent are in London. The Department’s 2010 assessments of necessary funding were based on incomplete information. At the time, it estimated it would cost a total of £5 billion to fund 324,000 new places. The Department makes a significant financial contribution towards the cost of new places, and since the Spending Review, it has earmarked £4.3 billion for local authorities towards the cost of providing places. An additional £982 million for schools capital was announced in December 2012, some of which the Department intends to fund further places by 2014/15 and some in 2015/16. The Department is now creating new estimates of costs, but it is unclear whether the current level of funding will be sufficient to meet the forecast need. The Department’s contribution has always been based on local authorities also providing some funding towards places. Local authorities reported to the NAO that they made a higher average funding contribution towards the cost of places than the Department had assumed they would. The NAO found that although the Department has improved the information it uses to make decisions on what funds it allocates, and plans to collect further data about places created, it currently lacks sufficient information about how local authorities are using the funding they have already been given.